We are changing the way we think about our environment and especially, our food. I can feel the momentum building as more and more people are becoming aware of the damage that’s been done and are taking action to repair it. Simply by making aware, informed choices, individuals can make a huge difference. Little things like shopping locally, using non-chemical environmentally sensitive cleaners, sharing an apple tree harvest, riding a bike to work or to run errands, planting a vegetable garden, and conserving water will add up to big changes in our cities. I’ve had some great fun with this little idea. I made this seed trading hanger by attaching some photo clips (that a friend found near a recycling bin) on to a piece of wood. I decorated the wood, then screwed the wood slat to our fence. If you can’t find photo clips at the thrift shop, try using clothes pegs. 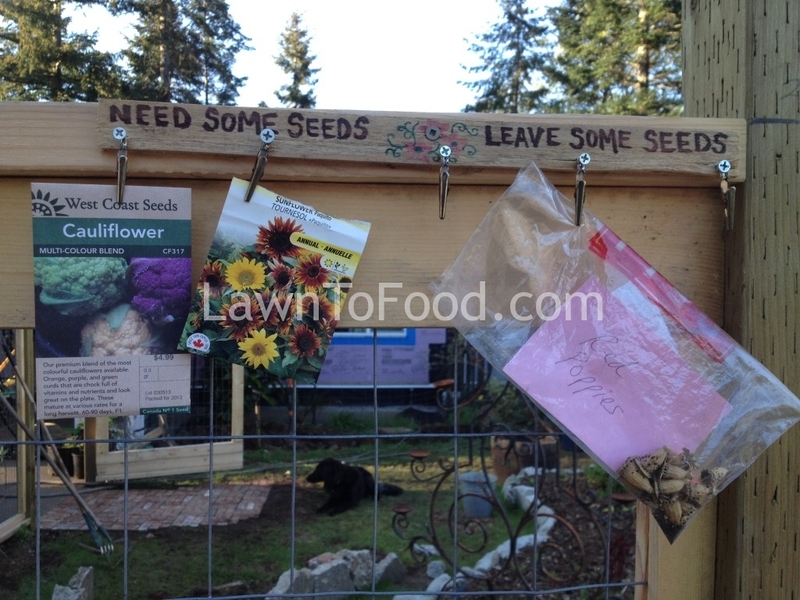 What better way to promote growing than by giving away seeds? The response has been phenominal from all the locals who walk by our fence. Some people have been taking seeds and a few days later dropping off others. We have been trading and chatting about gardening for weeks now. Not only are more seeds getting planted this season, the bright communication has really added a sense of community to our neighborhood. 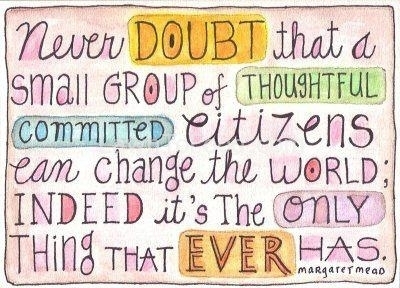 A great little quote from Margaret Mead. What little thing can you do to change the world? This entry was posted in Cool Carpentry Ideas, Decor & Sewing Ideas, Gardening w/ Kids, Growing Food, Recycle Reuse Rebuild, Urban Farmstand and tagged exchange, new gardeners, promote, seeds, share by Lynda. Bookmark the permalink.